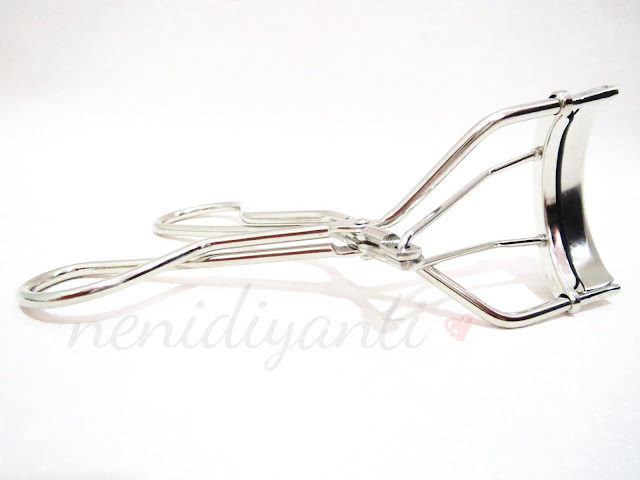 Some of you may think that all eyelash curler are same, but I don't think that all eyelash curlers are just same - they do come in (almost) same shape indeed - but there will be some points which determined the difference, the quality. 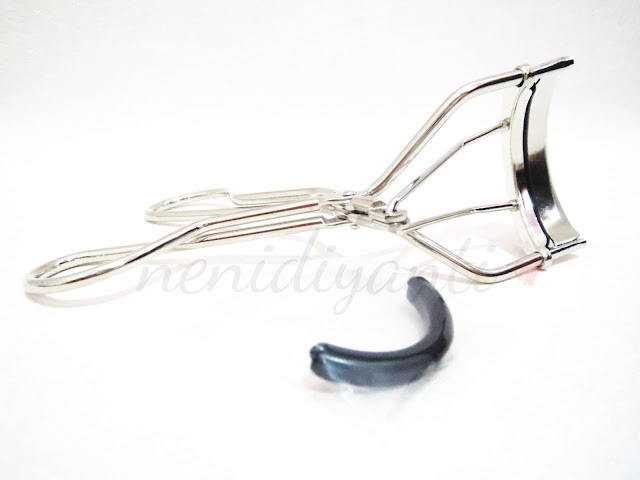 When I look for an eyelash curler, it should be a very comfortable one with fine handle and good quality of rubber pad. 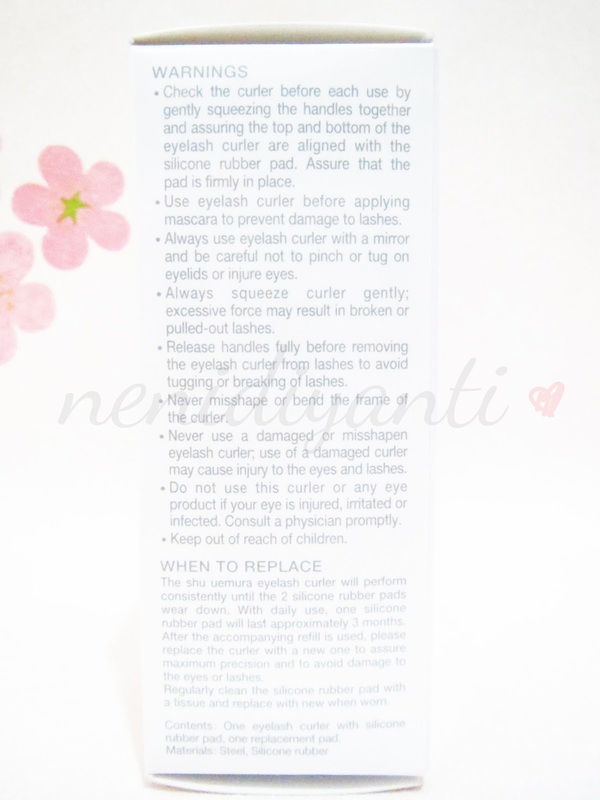 I've been searching for a HG eyelash curler which won't hurt my eyes either pull out or pinch my lashes inadvertent while using an eyelash curler. My searching was end when I found this Shu Uemura Eyelash Curler. On the back side, you'll find a short description about the products and also directions for use. It also comes with illustration which make you easier to understand the steps. 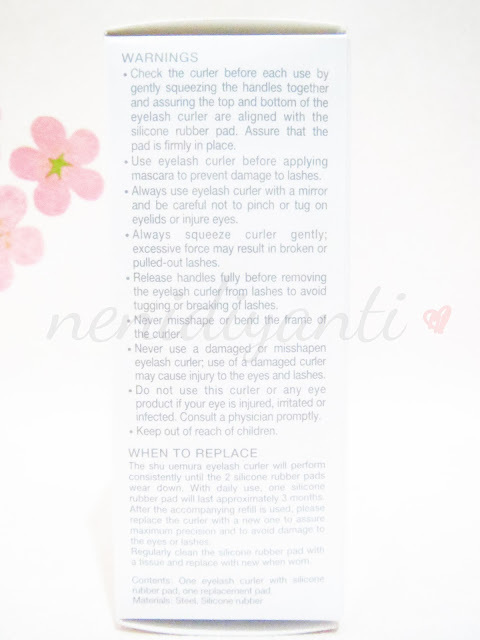 On the side box, you'll find some warnings and info when you should replace the pad. The warning is also written in Japanese language. I bought this baby at Shu Uemura's counter in Mall Kelapa Gading. 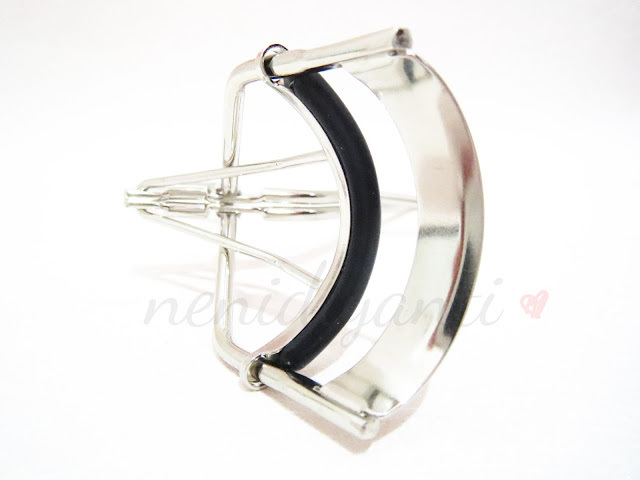 It costs IDR 250.000 or $22 for an eyelash curler and 2 rubber pads (one additional rubber pad is included in the box). The colour of the curler itself is just so so for me (because I do love something in pink or colourful ones). Comes in silver coloured all over the body with black rubber pad - this is the classic Shu Uemura Eyelash Curler. You also can get it in gold for IDR 300.000 or $26.40. With its sturdy mechanism hence a secure grip, flatter curve and squishier rubber pad, this curler will catch and curl every lashes, not pinch or pull it out. The brand itself "shu uemura" is embossed on the back of the curve. 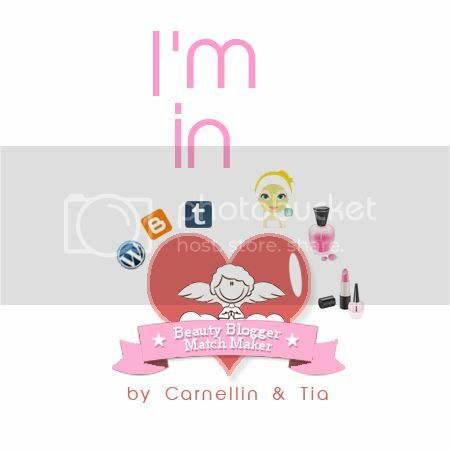 This is such a statement of a branded patent-designed beauty product. Look from above, the rubber pad looks so pillowy. It really makes me comfy while curling my lashes indeed. It doesn't hurt my eyes either pinch my lashes. It just different with unbranded or drugstore brands. While the drugstore one curling with (sometimes) pulling out my lashes after usage, this one is just curling my lashes - that's all. 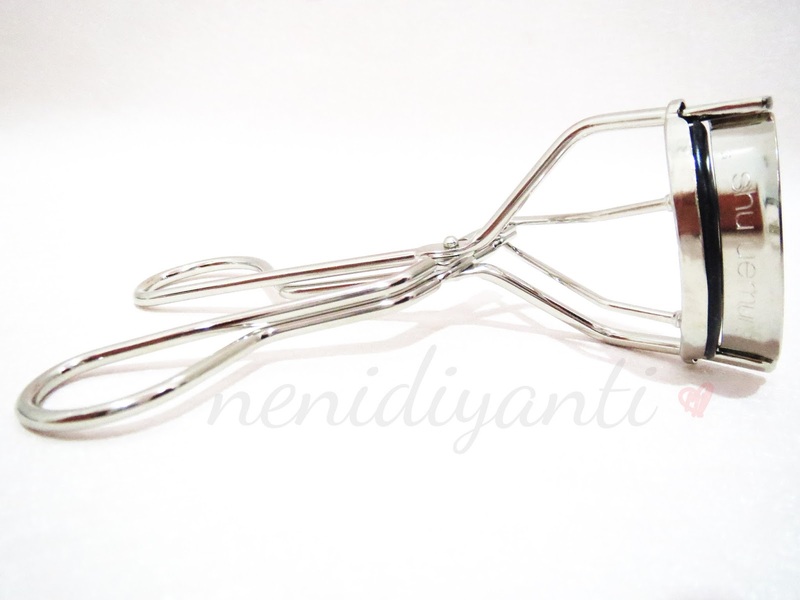 Even after many times of usage, it's only done its job - curling the lashes, without pinching or pulling it out. Then mascara will take the rest - volumizing and or lengthening. 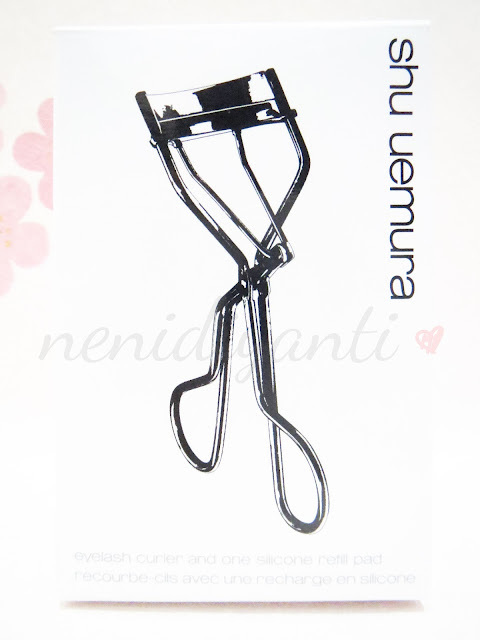 FYI, Shu Uemura Eyelash Curler will last up to 5 years (daily usage) with 2.5 year for each rubber pad. Or up to 3 - 4 years for each rubber pad if you rarely use it. My upper lashes are naturally short and straight. 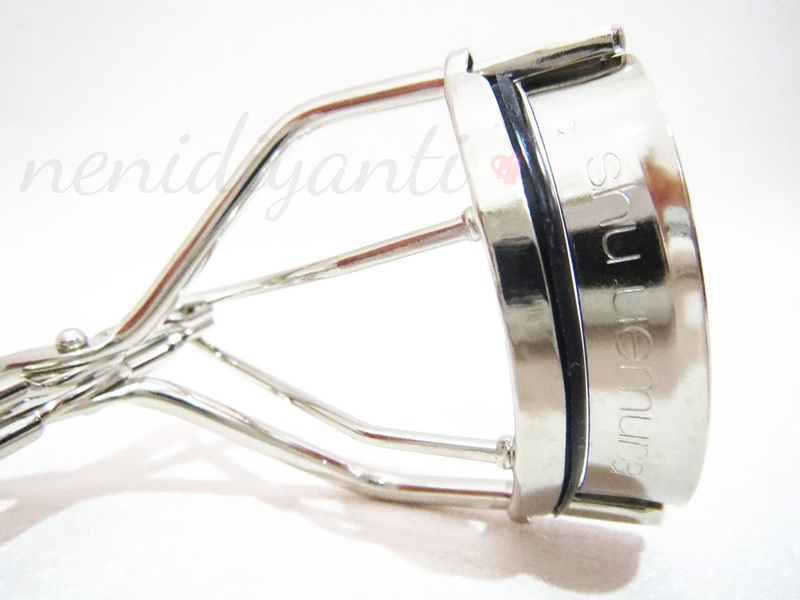 With the magic of Shu Uemura eyelash curler, they can be better. After curling my lashes, now I have tapering lashes (but still short haha).